LED light bars are taking the automotive world by storm; you can see more and more trucks and off-road vehicles out there that have installed LED light bars on the lower bumper. These LED light bars give off a super bright output that lights up the road, making it very efficient for both on and off the road use. Most people who drive a sedan don’t really get the chance to install LED light bars onto their vehicles due to the size. 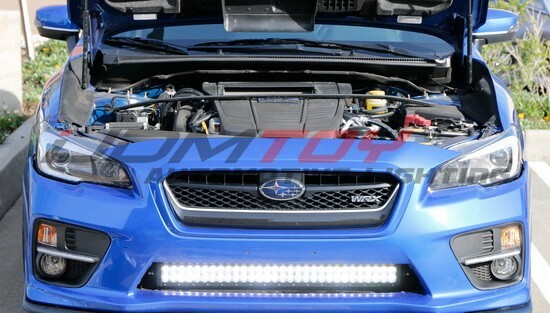 However, if you have a Subaru WRX, there is a special light bar designed to accommodate the lower bumper opening. This 2015-up Subaru WRX/STi LED Light Bar sits at the lower bumper opening and gives your WRX the rally racing look just like what you would see at the WRC. When you’ve got a truck, Jeep, or other off-road capable vehicle, you definitely want to focus on the lighting aspect of your ride. Drivers who use their trucks for off-road and daily drivers tend to enhance their vehicle’s lighting system with brighter LED upgrades. One such option are the Dually Flush Mount LED Pod Lights that’s a universal fit for trucks, Jeeps, 4×4, and more. These LED pod lights are powered by 24W CREE LED for a total output with a spot beam pattern so that they can shine light out in a much more superior way. The Nissan Titan is a pretty monstrous truck and definitely gives other utility vehicles out there a run for their money. Owners of the Nissan Titan generally add all sorts of modifications on their truck in order to make it extremely powerful and resilient. 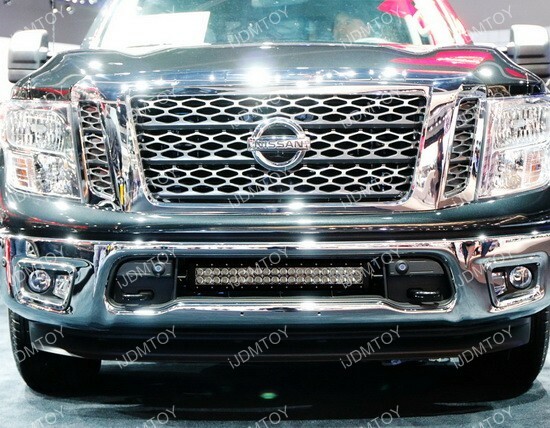 A popular upgrade for owners is the Nissan Titan LED light bar, which sits at the lower bumper location and provides ample lighting and is great for work or off-road use. The LED light bar is 120W so it is definitely extremely high powered with more than enough lighting capabilities. Our LED light bar collection is growing so fast, with tons of light bar options available for all kinds of utility vehicles. Today we are going to focus on the Jeep Wrangler and feature the iJDMTOY Jeep Wrangler JK LED Light Bar in front of the windshield. 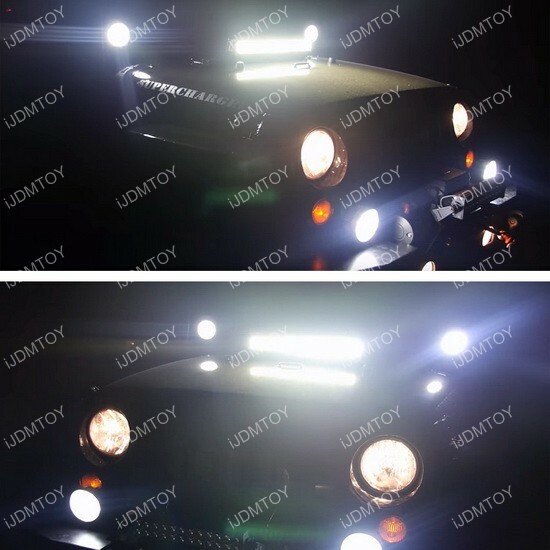 This LED light bar is great for the Wrangler owner who takes their Jeep Wrangler off-road and needs some pretty high end visibility. Every off-roader knows not to get stuck out in the wilderness with insufficient lighting, and this LED light bar will guarantee that you will have a smooth time. Halo Rings are probably one of the most recognized lighting designs on cars nowadays, ever since they were first introduced on BMW. There are plenty of retrofit halo rings available for all kinds of cars and trucks, plus halo rings come in tons of colors as well. 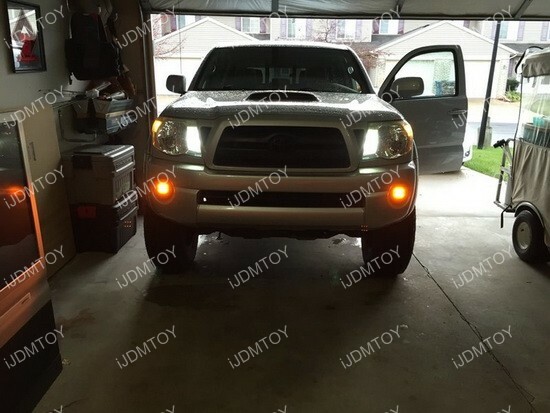 Check out this Dodge RAM with RGB LED halo rings for projector headlight retrofit, and see what an upgrade this lighting addition does to improve the aura of the truck. The specially designed ring shape is a great fit for the 2013-2016 Dodge RAM and the brightness is two times brighter than those run-of-the-mill conventional RGB rings on the market. 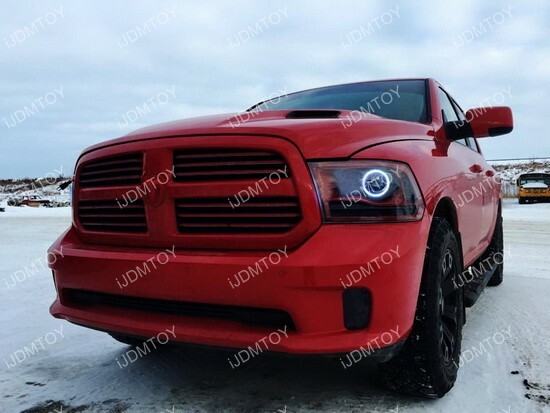 These Dodge RAM RGB LED Angel Eyes definitely transform your truck into a formidable display of heavy duty form with an incredible light show on top.